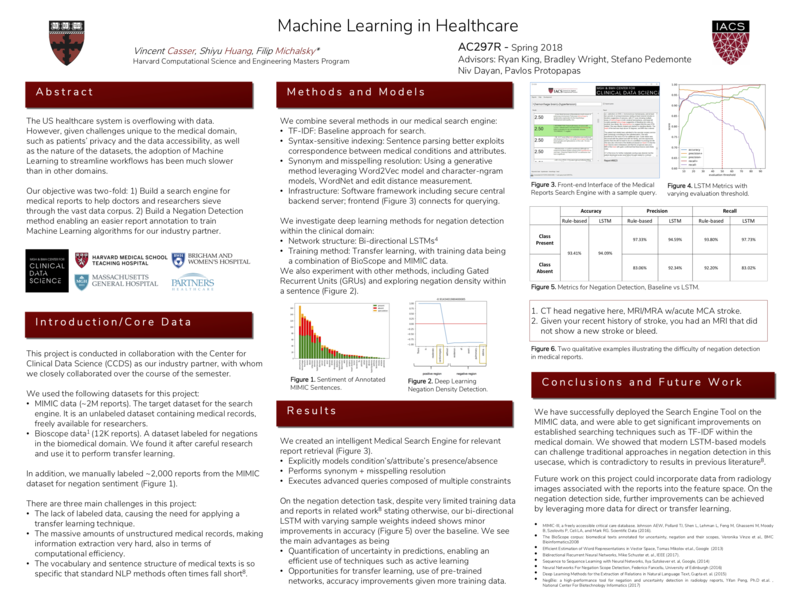 V. Casser *, S. Huang *, F. Michalsky *, Technical Report, Harvard University, 2018. User-friendly GUI: our front-end is minimalistically designed and allows for easy interaction, even for untrained individuals. Short summary of our project. User Interface of our querying software. 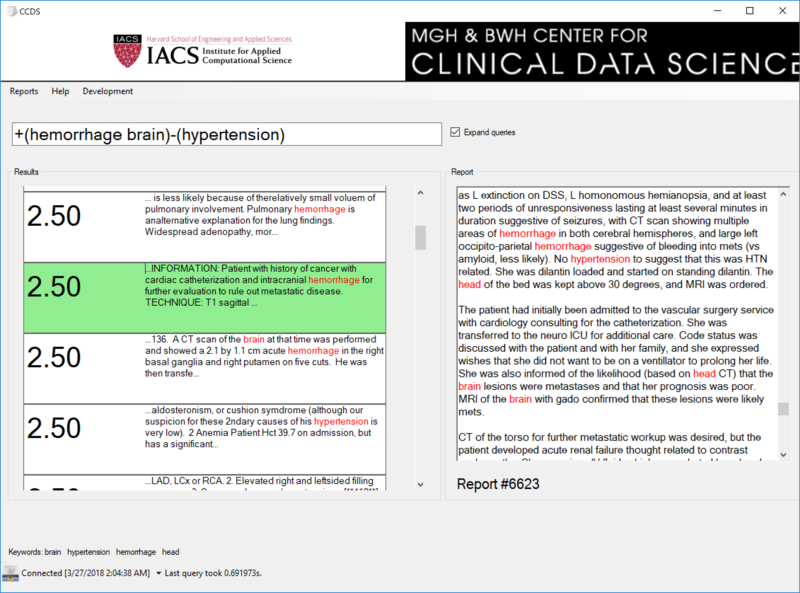 In this example, the user is looking for cases of patients who suffer from hemorrhage in the brain region, but does not suffer from (chronic) hypertension. Our processing technology can also be used in other applications, such as traditional analysis and visualization.